I am a stay at home mom/wife to 3 beautiful girls and a sweetheart of a husband. I have been stamping and scrapbooking for quite awhile now and still enjoy every minute of it. Hope you are all having a Wonderful week so far. I used the Boo Boo Bear digi image and my sentiment is from the Flower Pot Faces digi set from Digital Delights. I also got to use the fabulous Flower Pot Shaped Card template from The Cutting Cafe. It was alot of fun to use. 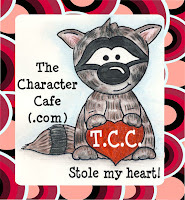 Speaking of The Cutting Cafe, they are this week's sponsors at Delightful Challenges. I just love their templates. 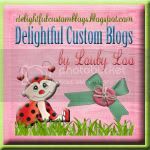 Be sure to check out the Delightful Challenge blog and Digital Delights blog to see more fabulous creations using Digital Delights images. for my card i used the Flower Pot Faces digi set from Digital Delights by Louby Loo. and the prize: a $20.00 Gift Certificate to their store. Hope you join us this week!! 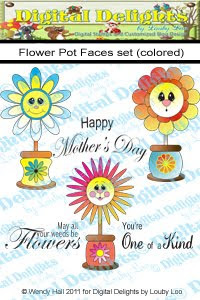 for more beautiful Mother's Day creations using Digital Delights images be sure to check out the Delightful Challenges and Digital Delights blogs. Have a Great Day and Happy Cinco De Mayo!!! Today i have the cutest little box to throw those delicious baked goodies into. 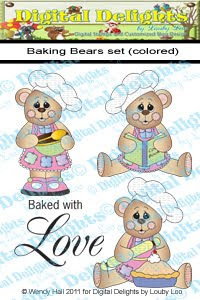 I used the cute little Baking Bears digi set and the Scallop gift bag cutting file, both from Digital Delights. Over at Delightful Challenges this week's challenge is Paper Piercing or Paper Piecing or you can do both which is what i did with my little goodie bag. I paper pieced baker bears apron and hat and shoes and added piercing to the sentiment and scallop border of my box. 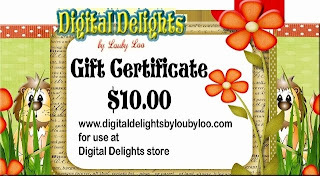 I certainly hope you get a chance to play along this week as one lucky player will win a $10.00 Gift Certificate to Digital Delights by Louby Loo. I apologize for this post being so short but i'm doing a little baking myself. I'm up to my eyeballs in cupcakes. All three of my girls have Easter Parties tomorrow. Easter's Just around the Corner!!! Boy, Easter is just around the corner and i haven't even begun to get my girls baskets ready. For those of you who are prepared i applaud you. I sooo miss those days of being prepared for the holidays!!! 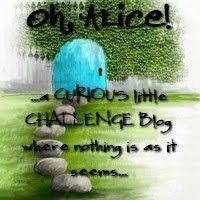 Anywho i have a cute little card to show you today, over at Delightful Challenges we have an EASTER Challenge going on. For my card i used this adorable image from the Snuffles and Snookie Easter Set and the Happy Easter Scroll Sentiment available at Digital Delights. 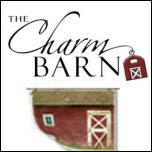 As always we have a Wonderful Sponsor for our challenge this week, The Charm Barn is giving away a $15.00 Gift Certificate to one lucky player!! so you will definately want to join in this week. You don't have to use a Digital Delights image to play along with us, but if you do you will be entered twice into the drawing. 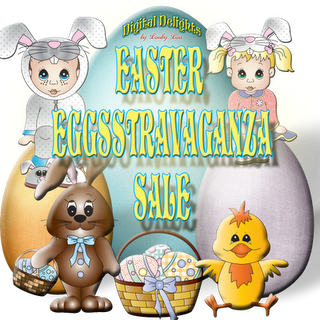 Right now is the perfect time to play along as Digital Delights is having a SALE going on right now so be sure to check that out :0) 50% off Easter products for a limited time only!!! Wendy has also put out a couple new digi sets that you definately do not want to miss!! You can find them HERE. 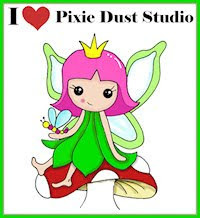 Well that's it for me today, I thank you for stopping by and don't forget to stop by the Delightful Challenge and Digital Delights blogs for some Gorgeous Easter Creations using Digital Delights images. Have a Wonderful Week!! Today is New Release Day over at Digital Delights and if you love pirates you are going to adore this release. Wendy even has a GIRL pirate, Prissy, which i Love!!!! There is also some fabulous Pirate Digital Paper that fits perfectly with all the Pirate digi's. 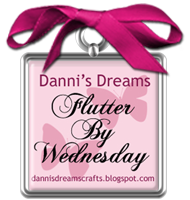 To go along with our New Releases, this week's challenge over at Delightful Challenge is just perfect. For my card today i used Prissy the Pirate, the Map from the Accessories set and You're a Treasure Sentiment. The Girls at Delightful Challenges and Digital Delights blogs have some Gorgeous creations to show you using this month's New Releases. You can find them all available Now at the Digital Delights Digi Shop. Be sure to check out the fabulous Easter Digi's and paper, there's still time for those adorable Easter Cards. Hope your all having a wonderful day. This week over at Delightful Challenges we are having a FLOWER Challenge. This week i made a bookmark for one of the little girls in the Kindergarten class that i work in. I used my scallop circle and classic circle nestabilities to cut out the main part of the bookmark. I used lots of bright colors and some bright flowery paper from my stash. I made her name using my cricut and plantin schoolbook cartridge. Love that machine, so quick and easy. added some fabulous ribbon and some glitter flowers and wahla done. 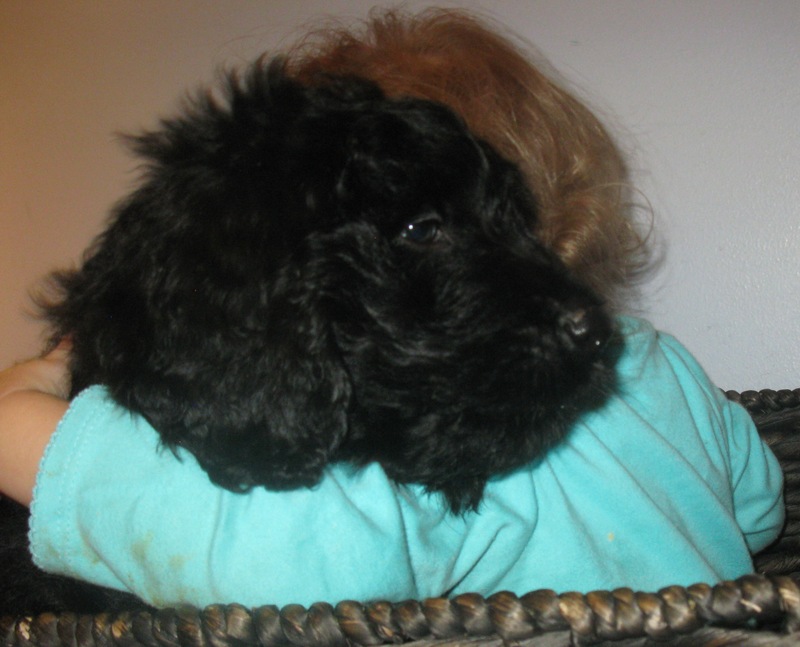 Now of coarse i couldn't forget my main image representing this adorable little girl. 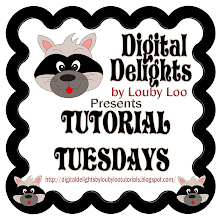 I used the ever so cute DAISY from the Digital Delights by Louby Loo digi store. This week we have our very own Digital Delights Sponsoring this week's challenge. That's all i have for today, i hope you join us for this week's flower challenge. Be sure to visit the Delightful Challenge and Digital Delights blogs for more inspiration using Digital Delights images. These ladies have some Gorgeous creations to show you!!! Hope you are all having a fabulous Thursday. 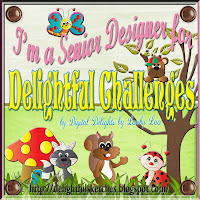 Today there is a new challenge at Delightful Challenges. I don't know about you but over here Spring is TRYING to make an appearance and working with all these PASTELS AND RIBBON makes me wish for it to get here already!!! For this challenge i made a Horizontal Double Pocket Card. I used the Barnaby Bunny Topper of coarse i have renamed my bunny Barnabella since i can never leave these digi's alone and i made barnaby into a girl bunny by adding a beautiful purple ribbon. I also used the cracked egg from the Easter Accessories Set. I just love how these two stamps work together. 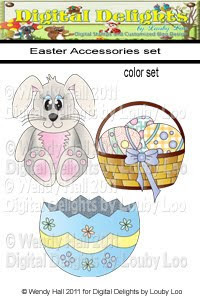 Wendy has some of the Cutest Easter images and digital paper available now in the store, you must go take a look. 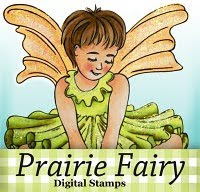 The beautiful pastel dp i used is Tea Party from Stampin Up! one of my absolute favorites! One lucky player will win a $10.00 Gift Certificate to the Really Reasonable Ribbon store. Now you don't have to use a Digital Delights image to play along with our challenge but if you do you get to an extra entry. Right now we have our March Madness Sale going on, so lots of great images at a Fabulous price. 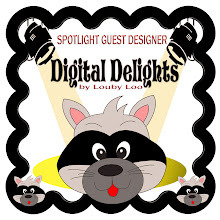 Don't forget to visit the Delightful Challenge and Digital Delights blogs to see some AMAZING creations and more inspiration using Digital Delights images. Hope you have on your green and if not pinch pinch! lol. For this week's DT card i used St. Patrick's Day Larry all dressed in green. He's not taking any chances on getting pinched. I also used the Good Luck Circular Sentiment both by Digital Delights by Louby loo. 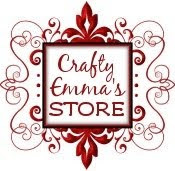 as always one lucky player will win a Fantastic prize from Emma's Crafty Store. Hope you decide to play along with us. For more inspiration using Digital Delights images be sure to visit the Delightful Challenge blog and Digital Delights blog for more Gorgeous Creations. I made this adorable box using Maria Bell's tutorial for Maria's Treat Box. 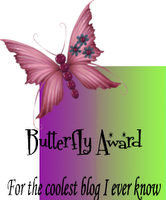 I used the Berti Butterfly digi image from Digital Delights. One lucky winner will walk away with 3 sets of their choice, and boy does she have some Awesome sets so what's not to love about that!! 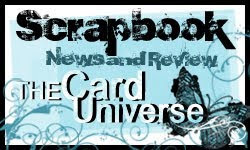 We also have our Digital Delights Digi Day going on at SNR Card Universe today. 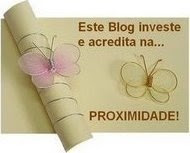 You can join us by visiting HERE. Sorry so short today, but gotta go into work early tomorrow morning so i must get everything ready for my girls for school. Thanks for stopping by and i hope to see you all at the Challenge and Digi Day!! Are you all ready for Spring to be here? 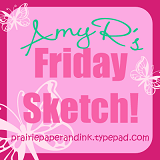 I know i sure am, so this week's theme at Delightful Challenges is just perfect for me as it is all about WELCOMING SPRING!!! The March New Releases are available Now at Digital Delights. For this week's card i used Easter Daisy all decked out in her Easter outfit looking ever so adorable!! I also used the little basket that can be found in the Easter Accessories Set for the insert of my Criss Cross Card. You can get both these images in either the colored or the black and white version. Wendy also has the cutest Digital paper that compliment these images perfectly, you must go take a look. 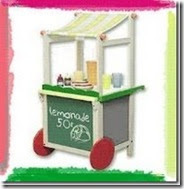 The Prize: a $20.00 Gift Certificate to their Store!!! I sure hope you decide to join us this week. 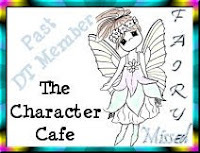 Don't forget to check out the Delightful Challenge and Digital Delights blogs for more Amazing creations from the DT using the March New Releases. DOL Creations....Stamping and Card Ideas!